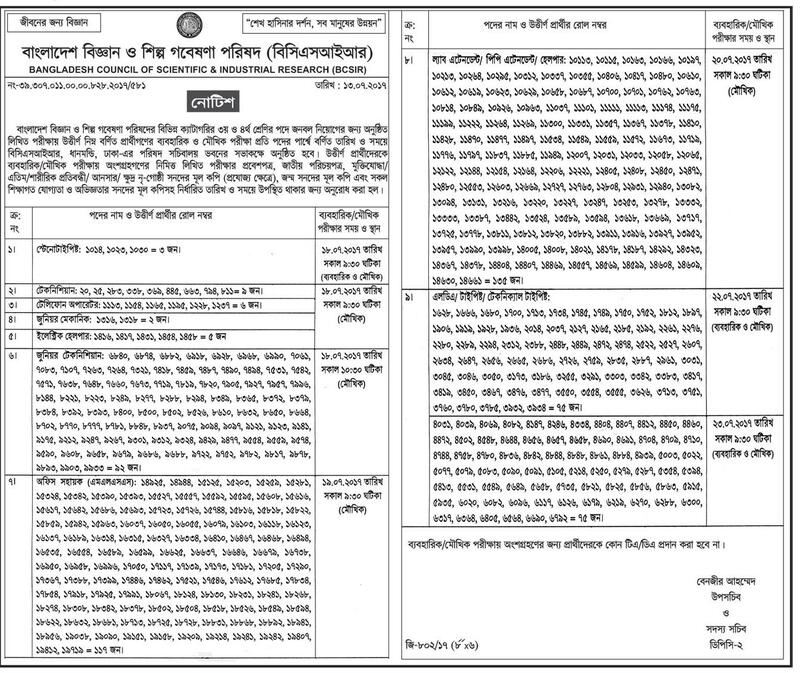 BCSIR written exam date published !www.bcsir.gov.bd published new job circular in there website. You can also get updates about Bangladesh Council of Scientific and Industral Research BCSIR Job in My website . See below the more information. BCSIR Viva Exam Will Be held on 18 July 2017 and End on 23 July 2017. LDA, Typist, Technical Typist candidates list for Written Test held at 03.00 PM on 19.05.2017. Click here for Download this Notice . Junior Technician candidates list for Written Test held at 10.00 AM on 19.05.2017. Click here for Download BCSIR Exam Notice. Stay with us for BCSIR written Exam Result and Question Solutions. You May Like us On our Facebook Page. BCSIR Written Exam Notice & Result 2017 will be published here. For apply Bangladesh Council of Scientific and Industrial Research Please read this bd circular again. For More updates about Bangladesh Council of Scientific and Industrial Research BCSIR job circular visit there official website at www.bcsir.gov.bd. You can also get all information about this job result and News at ejobscircular.com Thanks for stay visit our website. This entry was posted in job results, Notice and tagged jobs Results, written exam results by Raju Ahmed. Bookmark the permalink.